Hey loyal listeners… slight delay on this week’s podcast due to some Zencastr-related hiccups in the recording. I was hoping it would be a quick fix: it is not. It’ll be up tomorrow! We’re talking the 12 Models of the Winter Holidays for an hour and a half, definitely worth the wait! 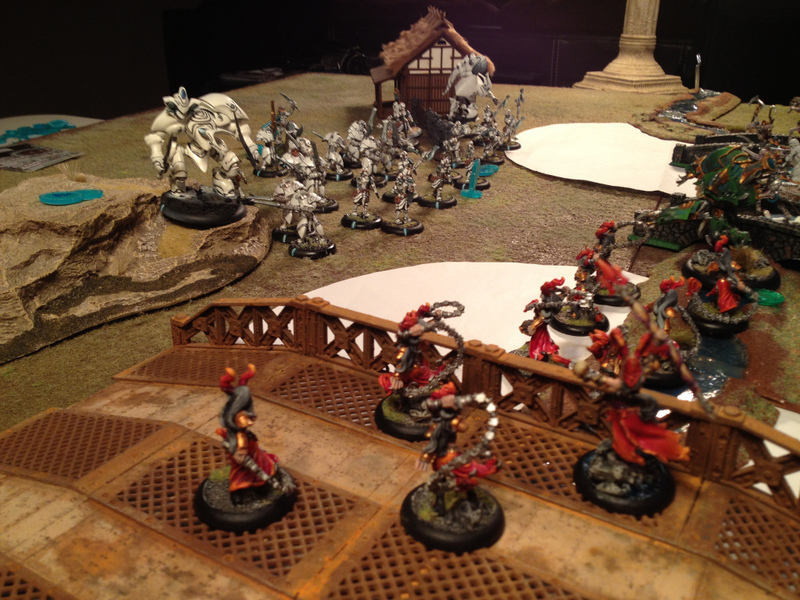 Podcast 078 – AdamBatRep 002 – Cryx (Gaspy3) vs Khador (Butcher3) – Silly Aaron, Cryx are for Kids! Welcome back to my second batrep in an ongoing series I like to call, ‘your tears are delicious’. This weeks game brought me face to face (I had to crouch a bit) with Aaron. This week I was matched up against Adam and his Cryx army. We both brought 2 lists we are testing for an upcoming tournament. We ended up chosing Kaelyssa and Epic Skarre.